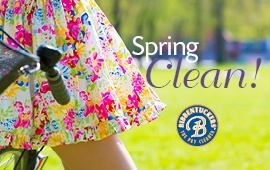 Bibbentuckers Dry Cleaning is Environmentally Safe? Can you please send me information on your dry cleaning and what makes it “environmentally safe”? Here’s the answer… We’re glad you asked. We use state of the art equipment with hydrocarbons as our cleaning solvent. Our hydrocarbon system offers several environmental benefits. First of all, hydrocarbons are organic solvents that are safe for the environment. There are no known health hazards with hydrocarbon usage — clothes get cleaner, brighter, softer and odor-free — and it is safe on beads, leather trims, and other plastic ornaments. Furthermore, we also use a biodegradable detergent for our laundry to make whites whiter. Also, we recycle hangers and plastic covers to reduce waste. Moreover, Bibbentuckers uses 30% fewer utilities than most dry cleaners. 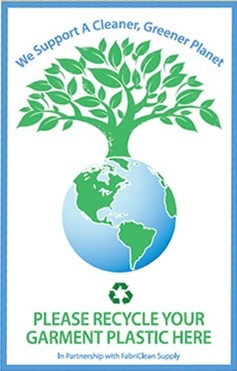 We do this with our energy efficient equipment, and by practicing environmentally friendly energy conservation. Our customers have known for years about our friendly service and quality cleaning but also because we practice environmentally friendly Dry Cleaning. We encourage our customers to take part in the environmental initiative by returning hangers and plastic covers because they can be used again.